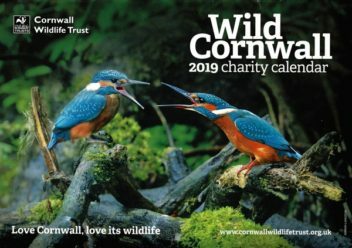 The Wild Cornwall calendar is produced by Cornwall Wildlife Trust to promote and fund its work. Cornwall Wildlife Trust is a registered charity protecting over 57 nature reserves across Cornwall. The Calendar measures approx 12 inches x 8 (30cm x 20) and includes a posting envelope.